We are delighted to announce that our client Alexander Albon has today been confirmed as a Formula 1 driver, having signed for the Scuderia Toro Rosso team. 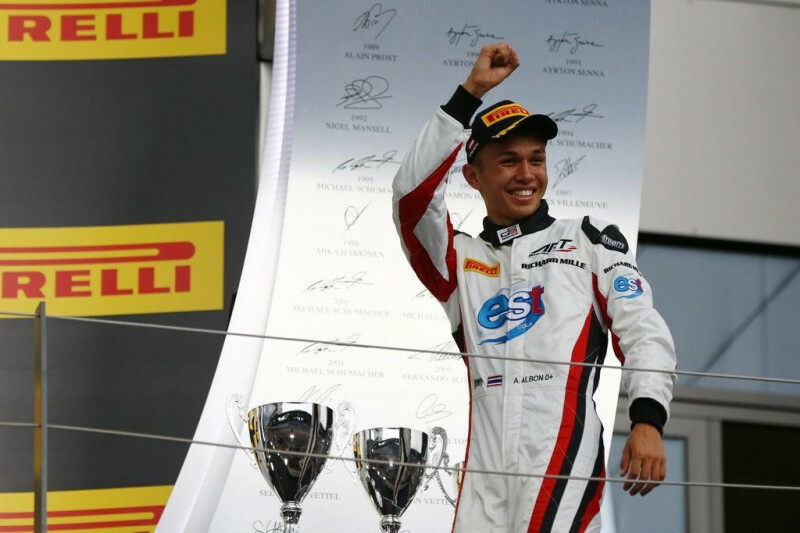 East Anglian born Alex, 22, shone in FIA Formula 2 this season, finishing behind only George Russell in the championship standings (who will race in Formula 1 next season for Williams) and Lando Norris (who will also race in Formula 1 next season, for McLaren). In signing for the Toro Rosso team, who form part of the prestigious Red Bull Racing outfit, Alex follows in the footsteps of a number of impressive drivers who launched their F1 careers in similar fashion – Sebastien Vettel, Daniel Ricciardo and Max Verstappen perhaps being the most notable names of many. With the potential pathway to step up to the front-running Red Bull team (a move being made in 2019 by current Toro Rosso driver Pierre Gasly) Alex has secured one of the most sought-after drives on the grid. Acting for and advising Alex in the lead up to and concluding the contract at Toro Rosso was the Head of Leathes Prior’s Sports Team (and our sporting management division Full Contact) Dan Chapman, pictured above with Alex as the deal completed. Alex also added "It's such an amazing feeling to know that I'm in Formula 1 next year. Throughout my single seater career, I went through a few ups and downs. I was dropped by Red Bull in 2012, so from then I knew my road to Formula 1 was going to be a lot harder. I worked really hard and tried to impress every time I got in the car, and I have to say a big thank you to Red Bull and Dr Marko for believing in me and giving me a second chance. I've always been motorsport mad and since I first got in a car it's been my dream to be in Formula 1. To be given this opportunity is just incredible." For Alex, the hard work really starts now – the rigours of the long Formula 1 season, which in 2019 includes 21 races – require an intensive fitness regime and winter pre-season testing for Toro Rosso will begin in February 2019 in Barcelona. We wish him and Toro Rosso all the best. For the official press release on this news, click here. 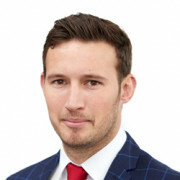 For any press enquiries or commercial enquiries in regards to Alex please contact Dan Chapman (dchapman@leathesprior.co.uk).